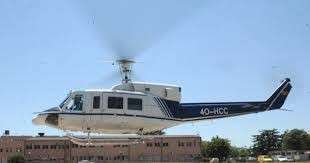 Between 27 and 29 November, Centre for European Perspective kicks off the activities of capacity building of the Avio-Helicopter Unit of the Ministry of Internal Affairs of Montenegro in the Development Cooperation Programme of the Republic of Slovenia with Montenegro. Public services provided by the avio-helicopter unit and its responsiveness are of vital importance for the population of Montenegro which is why the country aims to improve its capabilities in the framework of this programme. Slovenia and Montenegro will train flying in the high mountain ranges and exchange their experiences, which will contribute to the preparation of the programme proposal for the future development of the unit. Project is part of CEP’s program activities executed in cooperation with the Ministry of Internal Affairs of the Republic of Slovenia / Slovenian Police, financed by the Ministry of Foreign Affairs of the Republic of Slovenia in the framework of Slovenia’s Development Cooperation.